I’ve been getting a lot of attention for the Orange Street News. Lots of people wanted to talk to me about my paper and television crews followed me around. Its really great. I like getting attention for the paper but not for being a kid because that makes me kind of angry. I want the paper to be treated like an adult paper because if people treat me seriously it makes me feel glad. I really appreciate all my readers and all the new subscribers. You mean so much to me. 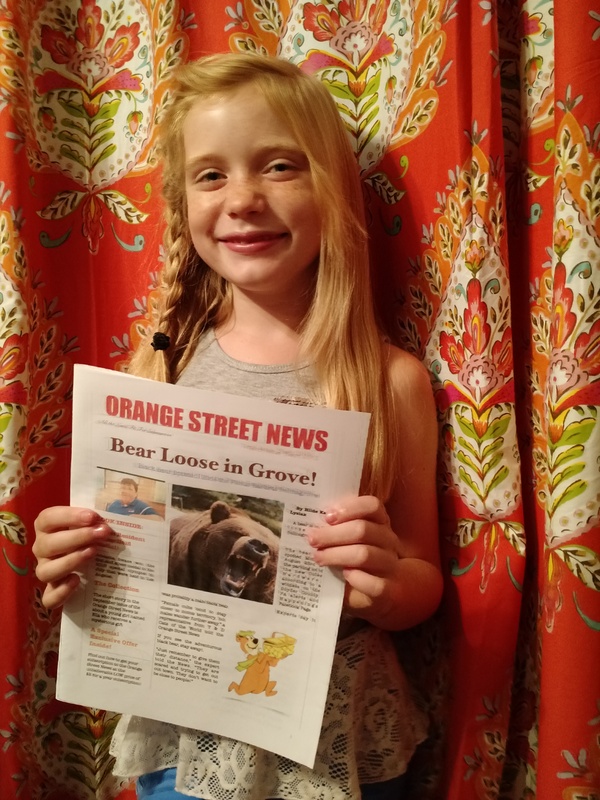 Thank you for reading this issue of the Orange Street News! Just saw the segment on the Today Show on NBC. Congratulations on your success in the media industry. How would I go about getting a subscription to your paper? Do you have an on-line subscription? Good Job! Your newspaper is seriously the real deal! You’re showing all the ‘Big’ newspapers/publications how it’s done – with imagination and enthusiasm! Go Get ‘Em! In 1959, I escaped Pottsville, Pa. and never really looked back. That area of Pennsylvania has brought forth many special people and you will continue that tradition. My early years were spent 1st through 12th grade living, and I thought, dying in Middleport. Your folks are great for allowing you the space to grow. You go girl and help to take the ‘fourth estate’ back to real news. Dance on! This entry was posted on September 25, 2015 by Hilde Kate Lysiak and tagged Hilde kate lysiak, Orange Street News.